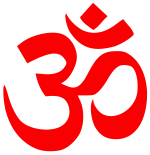 ↑ India-Constitution:Religious rights Article 25:"Explanation II: In sub-Clause (b) of clause (2), the reference to Hindus shall be construed as including a reference to persons professing the Sikh, Jaina or Buddhist religion"
Flood, Gavin (Editor) (2003). The Blackwell Companion to Hinduism. প্ৰকাশক Malden, MA: Blackwell Publishing Ltd.. ISBN 1-4051-3251-5. Tattwananda, Swami (1984). Vaisnava Sects, Saiva Sects, Mother Worship. প্ৰকাশক Calcutta: Firma KLM Private Ltd.. First revised edition. Dass, Baboo Ishuree (1860). Domestic manners and customs of the Hindoos of northern India, or, more strictly speaking, of the north west provinces of India.. Medical Hall Press, Benares. http://www.archive.org/stream/domesticmanners00dassgoog#page/n5/mode/2up.